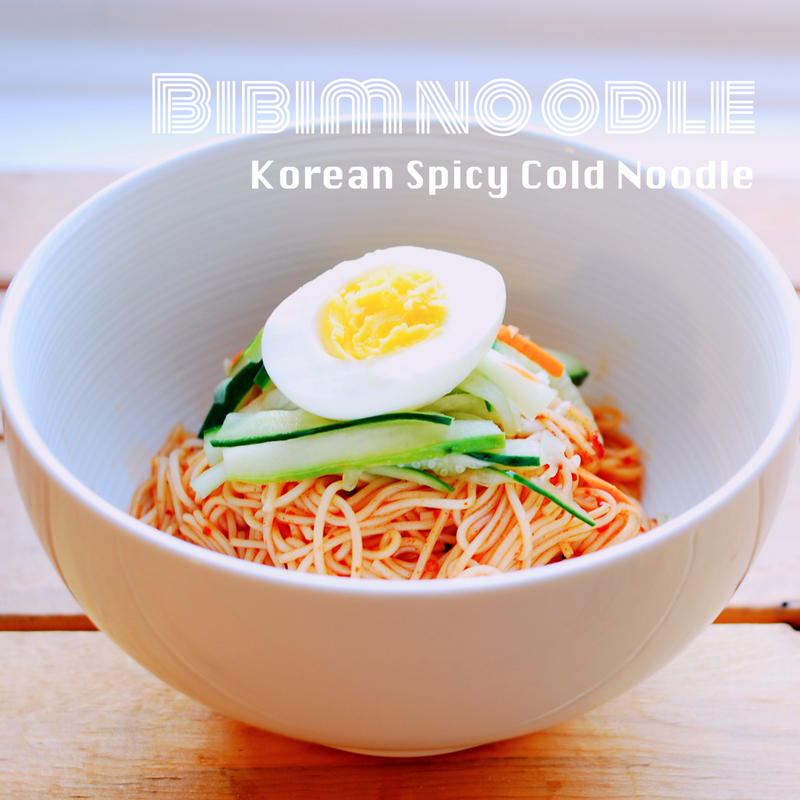 Bi bim noodle is like Bi bim bap’s little brother. 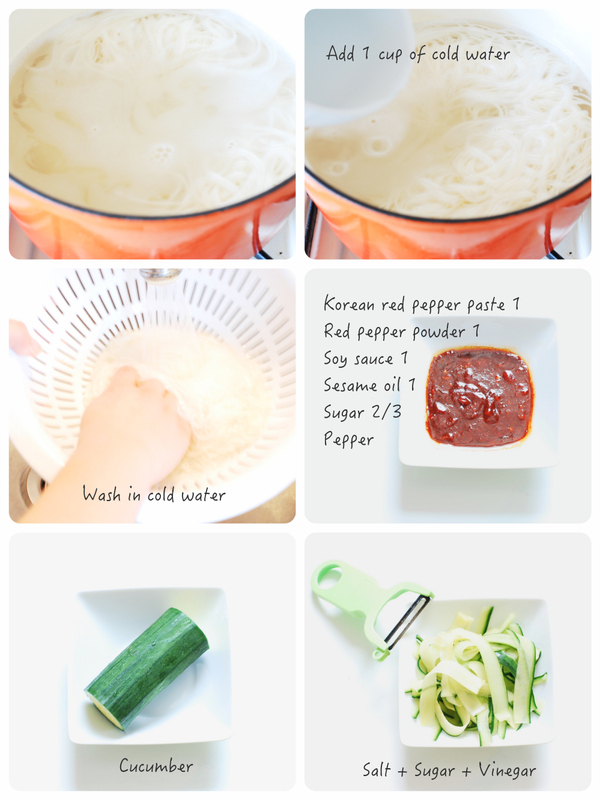 It uses Go Chu Jang as the key ingredient and the basic idea here is to mix the sauce with rice or noodles. However, Bibim bap normally looks fancier with many colorful ingredients, and the stone bowls just make everything look tastier. 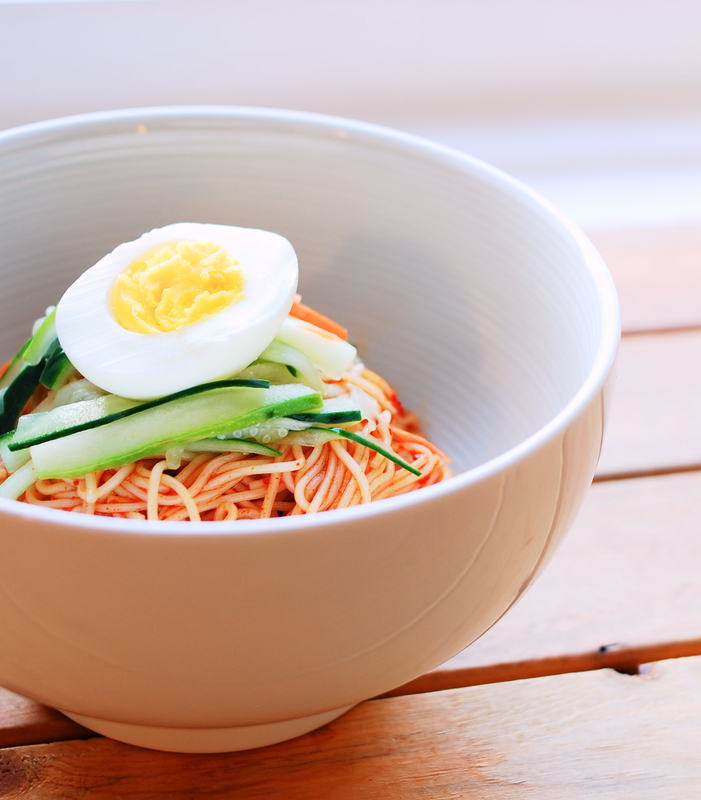 Compare to Bibim bap, Bi bim noodle is a minimalist presentation. The ingredients are simple and everything is chosen for a reason. As the dish is served cold and doesn’t require long time to prepare, it’s perfect as an easy meal for a summer day. Slice cucumber and marinate with vinegar, salt and sugar. Add a pinch of salt and noodles to the boiling water. Turn off the heat when the water boils for the 3rd time. Mix the noodles with the sauce, top with the cucumber and boiled egg.